Gautham Menon has plans to commence the shooting of Yohan Adhyayam Ondru next month, states sources. The film has Vijay as the hero and talks are on with Shruti Haasan to play his arm candy. The director is keen on roping her in as the Ilayathalapathy's leading lady and negotiations are on. Sources say that Shruti is extremely busy with a number of Telugu projects on hands and is trying to juggle her dates to accommodate Yohan Adhyayam Ondru. Gautham is also in talks with the Oscar winner AR Rahman to score the music for this film. It has already been well-publicised that the trailer launch of Mugamoodi was a grand event. Fans are eager to watch this event and will get an opportunity to do so tomorrow at 4:30 pm. The Mugamoodi trailer launch will be telecast on Sun TV tomorrow, July 8th, 2012. The advertisements on the private satellite channel have certainly raked up the expectation levels. Watch for this show in which celebrities like Suriya, Jiiva, Jayam Ravi, Mysskin, Nasser and others participated. 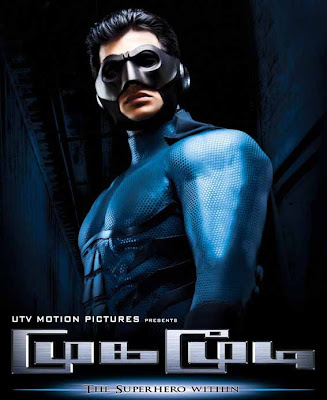 Mugamoodi, incidentally, is directed by Mysskin and stars Jiiva as the main protagonist.